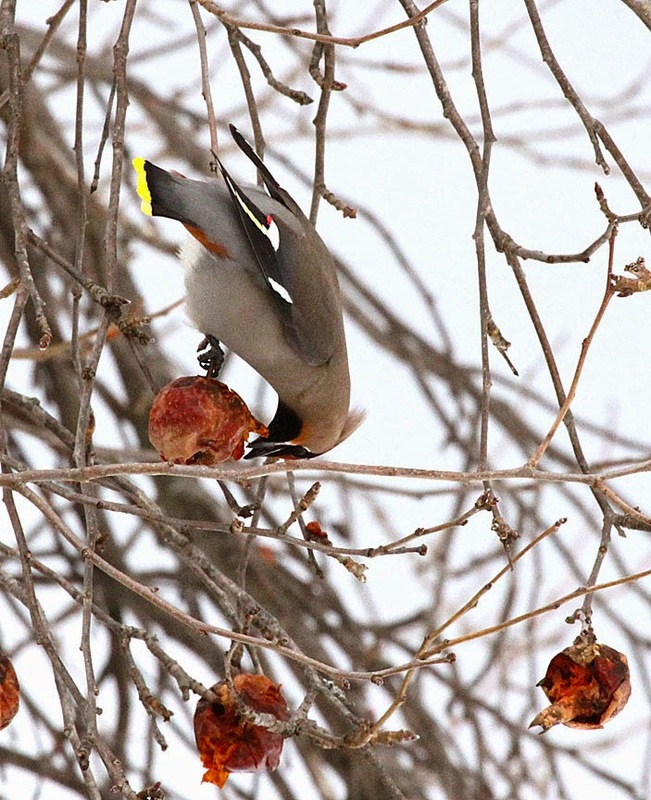 It was four years ago that we had the last big invasion of Bohemian Waxwings from the north. 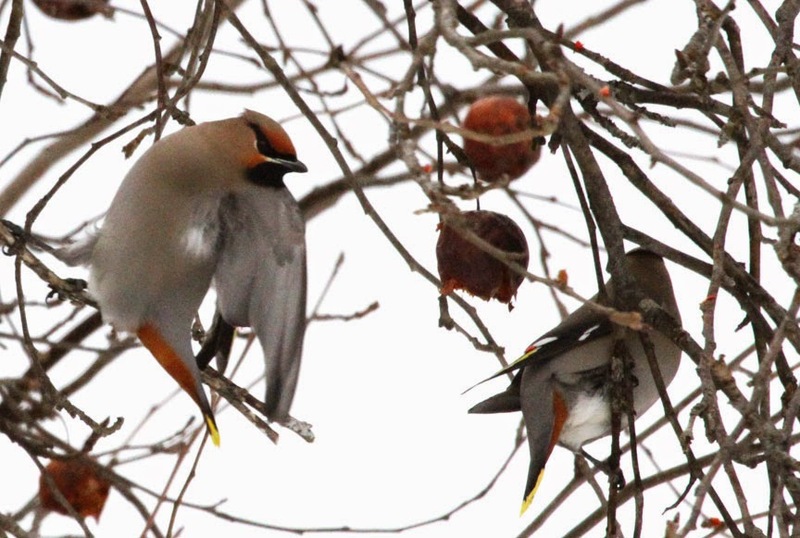 Reports were coming in on eBird of sightings north of here, you could see their movement as the large flocks continued southward in search of food. 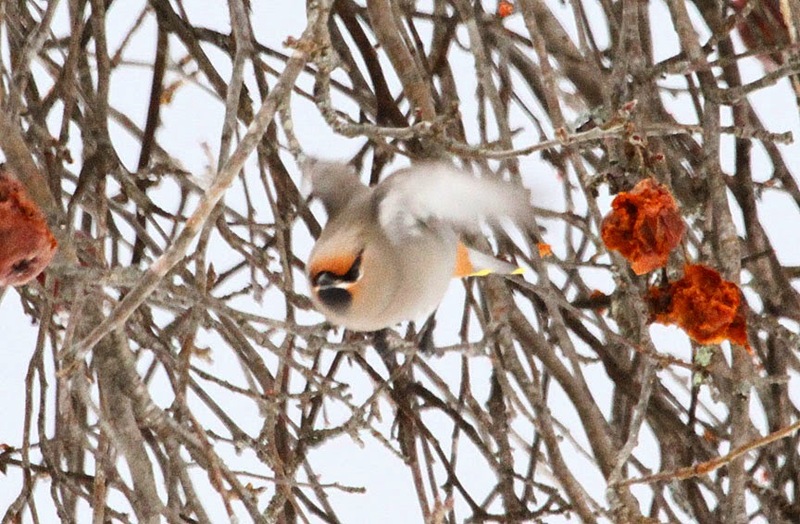 When they find a food source - this time of year it's fruit and berries - they'll stay in that area until the trees and bushes are stripped clean. 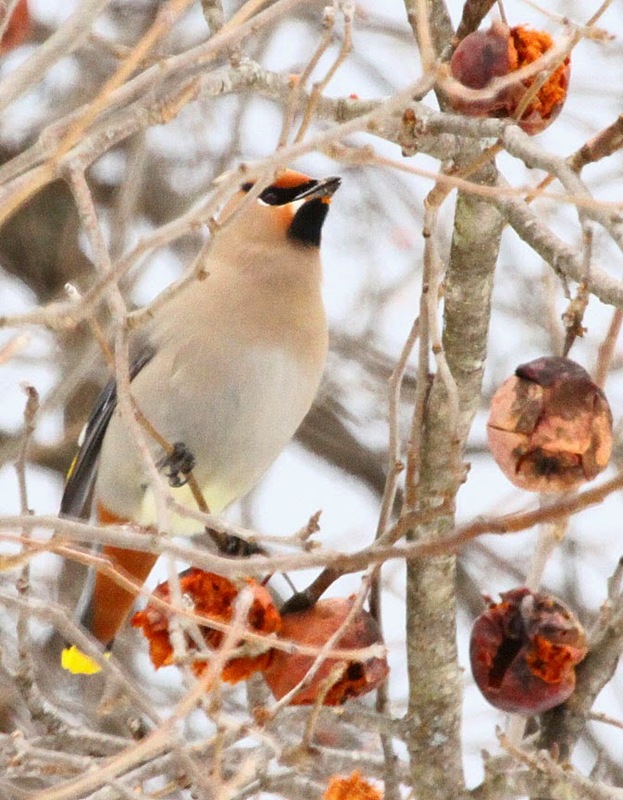 We found them eating apples, probably slightly fermented, in old apple trees in Grafton. 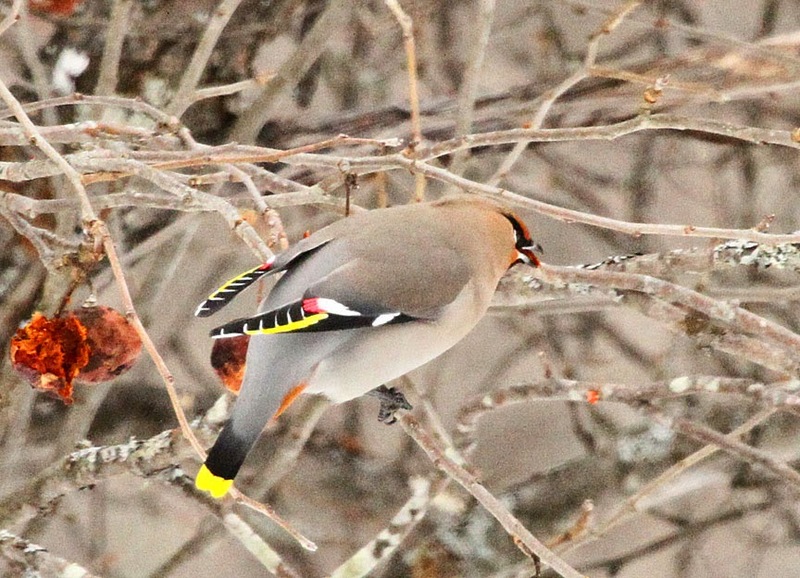 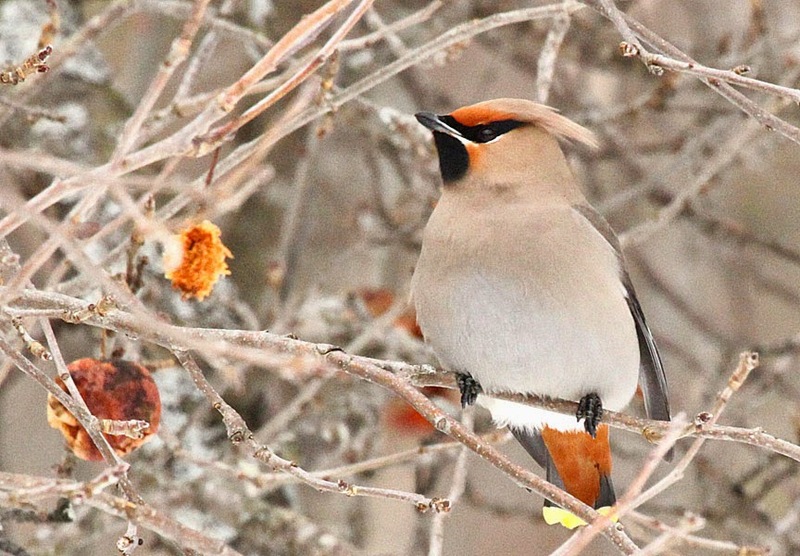 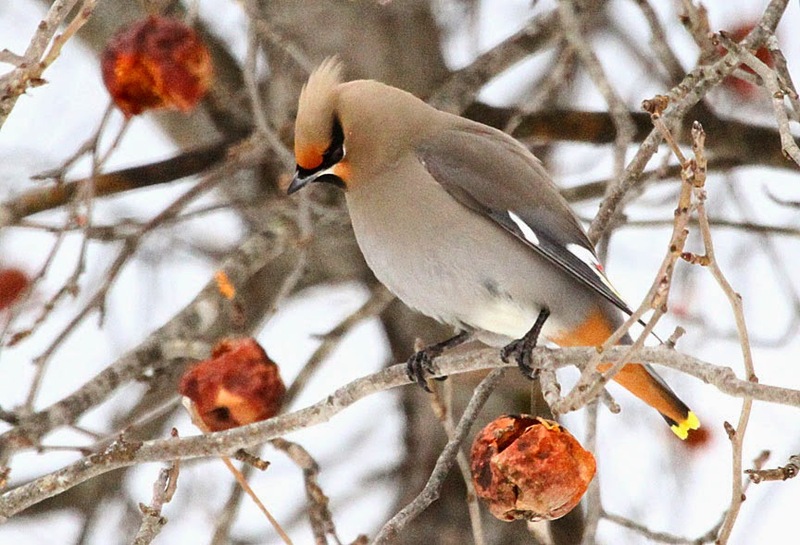 Waxwings get their name from the waxy red secretions found on the tips of the feathers. 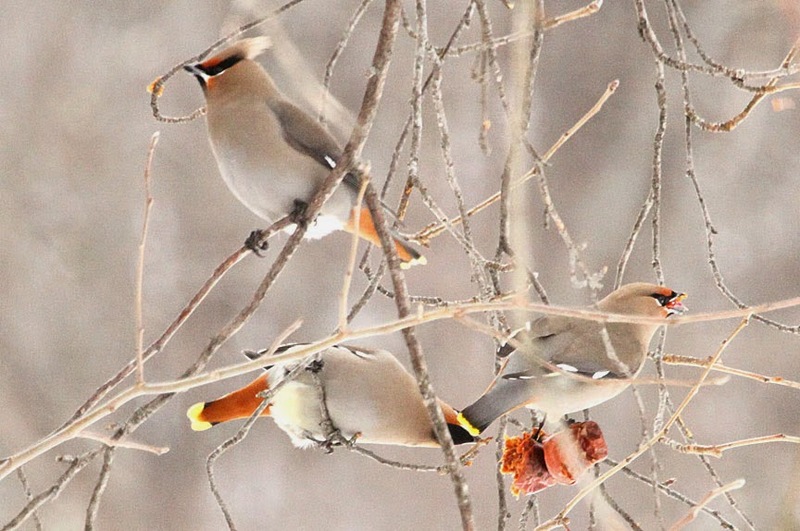 The function is not known, but they may help attract mates.